As we have seen in ongoing research, effective teacher learning requires multiple professional development sessions over time, with lots of opportunities to grow and reflect. 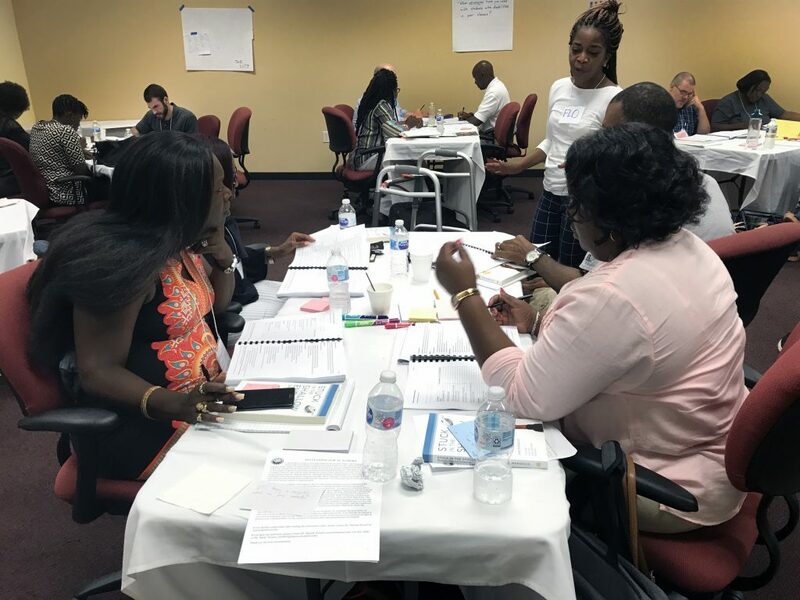 Prior to implementation, this week-long summer institute introduces the instructional philosophy and content from the early units. During the school year, quarterly PDs focus on remaining units and the three strands: CS Concepts, Inquiry, and Equity. Most quarterly PDs are online. 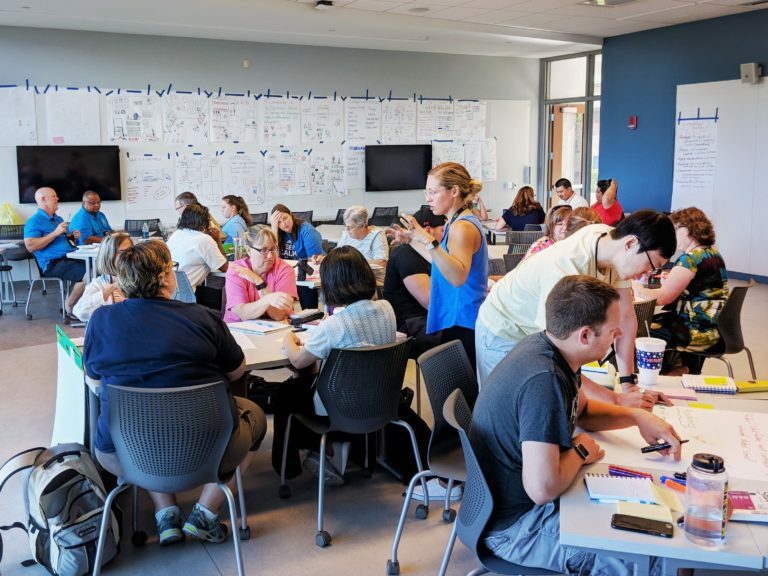 After a year of teaching ECS, teachers attend our week-long summer institute again, but with a focus on deepening understanding of content and pedagogy. The ECS Curriculum has been developed by researchers over the course of almost ten years to ensure ease of implementation for teachers and maximal engagement for students. Students are introduced to the concepts of computer and computing while investigating the major components of computers and the suitability of these components for particular applications. Students will have opportunities to become “computational thinkers” by applying problem-solving techniques, thinking abstractly and applying and creating algorithms. Students expand their knowledge of algorithms, abstraction, and web page design and apply it to the creation of web pages and documentation for users and equipment. Students design algorithms and create programming solutions to a variety of computational problems using an iterative development process in Scratch. Students explore how computing has facilitated new methods of managing and interpreting data, finding patterns using their own, local data and a variety of large data sets. This unit introduces how robotics enables innovation by automating processes that may be problematic for humans. Students explore how to integrate hardware and software. Students design circuits and use conductive thread to stitch them to an Arduino-based microcontroller, creating electronic textiles (e-textiles) that sparkle and interact. When you teach ECS, you join a team of teachers all over the U.S. and Puerto Rico committed to ensuring all students have an opportunity for meaningful computer science education.